As we near the end of 2017, givers will once again be looking for ways to be generous while maximizing their tax benefits associated with charitable giving. 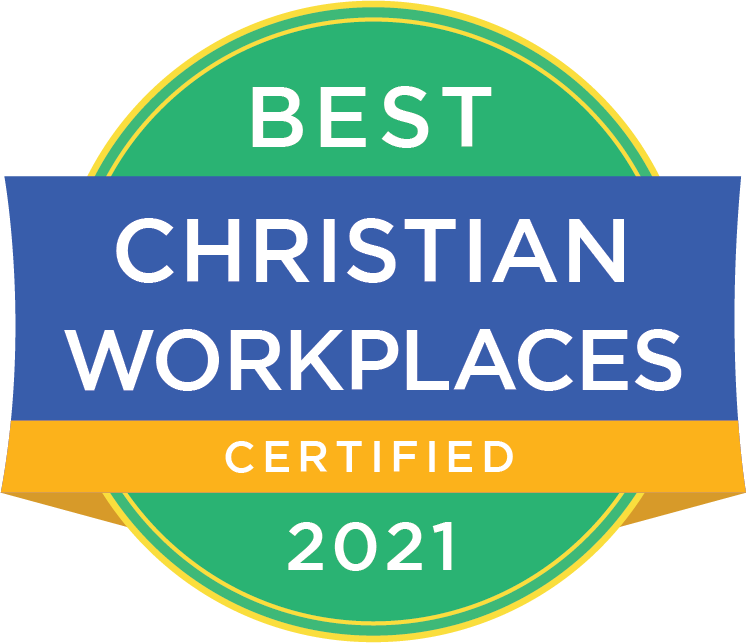 It’s now your church’s job to help them achieve both goals! A few of the requirements for gift receipts are pretty intuitive, but others are not. And no matter if you consider yourself a gift receipting novice or expert, now is a great time to review your gift receipt templates and be sure they meet the appropriate guidelines. Not to mention, the IRS and courts have historically taken a very strict approach to enforcing the gift receipting rules, in some cases, denying tax deductions to the tune of tens of thousands of dollars for not complying with the letter of the law. Failing to receipt the right kinds of gifts (single contributions of $250 or more). The first and most obvious sin to avoid is failing to provide givers with a proper receipt when one is needed. When is that the case, you ask? Tax law sets the bar at single contributions of $250 or more. Gifts below that amount do not require a receipt unless they are gifts of currency (bills and coins), which have no other form of substantiation. One annual summary of all gifts made throughout the year is sufficient so long as it lists the gifts by date and amount, making contributions of $250 or more identifiable within the total. Keep in mind that the $250 threshold applies to both monetary gifts and non-monetary gifts (i.e., property). Receipting the wrong kinds of gifts (time and rent free use of property). Churches are often blessed by those who generously give their time or use of their property to the church. While these gifts are often extremely valuable, they cannot be claimed by the giver as deductible contributions for tax purposes. Churches should never provide receipts to givers for their time or use of their property, but they may provide a letter at yearend thanking volunteers for their time and/or use of property and advising that unreimbursed out-of-pocket expenses related to their volunteer service may be deductible. Receipting the wrong person (a taxpayer other than the giver). Churches are sometimes asked to provide a gift receipt in the name of someone other than the giver. To avoid being complicit in tax fraud, it is generally only appropriate to issue a gift receipt to the taxpayer remitting the funds or property. Missing the correct IRS wording (“no goods or services…”). Here’s a kicker. Even if your church provides a receipt for the right kinds of gifts and to the right person, it still must have some very specific information and wording to be sufficient for substantiation purposes. A statement explaining whether the church provided any goods or services to the giver in exchange for the contribution. It is that final technical requirement that has tripped up some well-meaning churches and nonprofits and cost givers significant losses in tax deductions. Forgetting to disclose when givers benefit (“quid pro quo”). That brings us to the fifth deadly sin. If indeed the giver receives something of value from the church when making their contribution (e.g., a book, resource, meal, etc. ), only the portion of the gift exceeding the fair market value of the benefit received may be deductible. Churches must provide a receipt for all transactions where the giver makes a payment to the church of more than $75 and receives goods or services in return (other than intangible religious benefits or items of token value). Estimating the value of non-monetary gifts for donors (becoming an appraiser). For monetary gifts (e.g., currency, check, credit card), the church should simply include the dollar amount on the giver’s receipt. When it comes to non-monetary gifts of property (sometimes also called “noncash gifts”), the church should only provide a legal description of the property and not the amount. A tension often surrounds a significant gift of property because the giver may request that the church value the gift, even documenting an excessively high value on the receipt. However, it is wise for the church to remain impartial in the matter and simply acknowledge the property by description and condition without valuing it. Timing (missing the right window). They say “timing is everything,” and that is certainly true in the context of gift receipts. The law requires that receipts not only include all of the proper elements described above, but also that they be provided to the giver in a timely manner (“contemporaneously”). The timing rules vary depending on the type of gift involved, but the basic point to remember is the giver will need the receipt for substantiation purposes no later than the due date, plus any extension, of their federal income tax return, or the date the return is filed, whichever date is earlier. Don’t expect mercy if the receipt is provided to the giver at a later date, even on an amended return. Although these rules may seem tedious, it is important for us to avoid these seven deadly sins in helping our givers receive the maximum tax benefit for their generosity. Unlike God, the taxman and courts are not so forgiving. 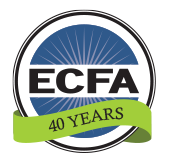 ECFA is committed to helping your church excel in gift administration. For a limited-time, FREE download of the eBook Charitable Giving Guide for Acknowledging and Reporting Cash Charitable Gifts, visit ECFA’s free resource community ChurchEXCEL.org or email Michael@ECFA.org. And don’t miss the FREE webinar-on-Demand – Acknowledging & Reporting for Churches—10 Things You Must Know! Click the image below to view the webinar.